Millions of people buy sedans each year. Their practical design keeps comfort in mind for both driver and passengers. Best-sellers from 2012 highlight the trend toward stylish cars packed with features normally found in more expensive models. At New Jersey State Auto Auction you’ll find we have a wide choice of sedans in this affordable price range. A very popular model is the Ford Fiesta. Its front-wheel-drive package is small on the outside yet spacious on the inside. The 120-horsepower, 1.6-liter engine is full of pep, as well as fuel efficiency, getting 28 city and 37 highway mpg with a manual transmission. And you can get nearly the same mpg with the high-tech automated transmission! Other high-tech options include an extensive array of electronic features, such as keyless ignition/entry and voice-command for MP3 players and cell phones. The Sonic is one of Chevy’s best small cars. Its front wheel drive is a joy to drive. In addition to the standard 1.6-liter engine, a turbocharged version is available if you want more power. The turbocharged engine is a 1.4-liter inline-4 that generates 138 hp and 148 lb-ft of torque. It gets an an amazing 29 city/40 highway mpg with the manual transmission. Another good buy is the Hyundai Accent. It provides a lot of car for the money. This stylish car drives like a downsized version of the Hyundai Sonata, and performs well in city driving with its front-wheel-drive,138-hp, 1.6-liter four-cylinder engine delivering 30 city/40 highway mpg when using the manual transmission. We’ve got more makes and models at #NJStateAutoAuction and our elite sales team looks forward to helping you find your perfect sedan. Since opening over 20 years ago, our dealership hasn’t budged on its core values: straightforward business done with integrity and no high-pressure sales or gimmicks – just great vehicles sold by real people. All of our sales people work hard to help our customers find exactly what they’re looking for from our inventory of carefully selected and thoroughly inspected cars, trucks, vans and SUVs. We provide high quality service that brings customers back to Jersey City for their second, third and fourth used car. Come see for yourself! NADA Used Car Guide, the leading provider of used vehicle valuations, and MonroneyLabels.com™, are combining forces to make the selling and marketing process of used automobiles easier for buyers and dealers. The new labels are VIN-specific window stickers and contain all the original factory options and OEM, giving everyone the correct factory option packages and pricing as built. Window stickers or #Monroneys, as they’re commonly called, are designed to let the consumer about what’s included in their purchase. The sticker was named after Oklahoma Senator Mike Monroney, sponsor of the 1958 Automobile Information Disclosure Act that lets car buyers know what they are getting. The recent collaboration of NADA Used Car Guide and Monroney Labels means the same information can be made available for used car buyers. Since 1933, NADA Used Car Guide® has been recognized as the leading provider of vehicle valuation products, services and information to businesses throughout the U.S. and the world. Its editorial team collects and analyzes over 1 million combined automotive and truck wholesale and retail transactions each month. NADA’s guidebooks, auction data, analysis and data solutions offer automotive/truck, finance, insurance and government professionals the information and reliable solutions they need to make good business decisions. NADA Used Car Guide® and its logo are registered trademarks of National Automobile Dealers Association, used under license by J.D. Power and Associates. At New Jersey State Auto Auction, we are pleased to offer our consumers the best and most up-to-date information about our vehicles. We believe an informed consumer is a good consumer. Our experienced and elite sales team can help you find your perfect vehicle. 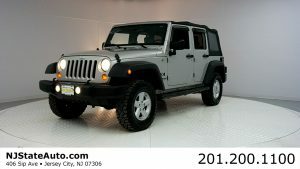 We invite you to check out our extensive inventory by looking at our website www.njstateauto.com and then come in for a text drive. We have been serving the Tri-State area for nearly 20 years. Come find out why so many customers will only buy from New Jersey State Auto Auction. Keeping the correct air pressure in the tires of your car, truck, SUV or crossover will help your tires last longer, save fuel, help your vehicle handle better, prevent accidents and even help the environment! Experts agree that maintaining the correct air pressure in your tires is nearly as important as getting a tune-up for your engine. Negative effects of underinflated tires results in poor gas mileage, shorter tire life and poor vehicle handling. Tires often get taken for granted since they don’t seem to need much attention. But, did you know that tires lose pressure each day? In cool weather, a tire typically loses one or two pounds of air per month and in warmer weather, tires will lose air pressure at an even higher rate. Other factors cause a loss of tire pressure as well. Check the air pressure on a regular basis, such as every other time you get gas. You should also have the air pressure checked when the tires are rotated. Also remember it’s important to have the pressure in your spare tire checked every few months. The correct air pressure can be found in the vehicle owner’s manual or on the tire information label that is attached to the vehicle door edge, doorpost, glove box door or fuel door. Routine air pressure maintenance can have a significant impact on our environment. Experts estimate that most drivers lose from 10% to as much as 50% of tire tread life due to underinflation. This means more tires ending up in our landfills. Underinflated tires burn extra fuel since they require extra energy to roll down the road. Your vehicle may be due for an air pressure check. Stop by our Jersey City dealership for a fast and free air pressure check. Your #NewJerseyStateAutoAuction service team is here for you! We want you to stay safe on the road. Visit our website at www.njstateauto.com for more details. After 20 years on the market, the Subaru Outback continues to get better and better! The Outback is a great alternative to the SUV with its 30 mpg on the highway. Each year, new features are added and the 2014 model now features the comfort of heated seats—perfect for those cold winter days. The 2014 Subaru Outback is also much larger than the original Outback and makes a great family car. It handles well on all road surfaces so you can get around in all types of conditions, from dirt trails or muddy country roads to snowy roads. Every Subaru model comes standard with all-wheel drive and ground clearance of 8.7 inches that’ll get you around most obstacles. It’s definitely one of the most capable crossovers off-road! The Outback can also carry all your gear in its generous 71 cubic feet of maximum cargo space. It gets great fuel economy, too, with the four-cylinder engine rated at 30 mpg on the highway. If you have hauling needs, the Outback can tow a small trailer with the optional six-cylinder engine, up to 3,000 pounds. A standard roof rack with built-in cross rails that easily fold out of the way when not needed, will also help with your cargo needs. Every #2014SubaruOutback comes standard with four-wheel antilock disc brakes, stability and traction control, front seat side airbags and side curtain airbags that cover both rows. Several safety features are available, such as adaptive cruise control, pre-collision braking and lane departure warning functionality. You will be alerted if you’re swaying within your lane while traveling on the highway. Subaru’s EyeSight system can also detect pedestrians and will brake automatically if the driver takes no corrective action. In government crash tests, the Subaru Outback earned a five-star overall rating, along with five-star ratings for its performance in front- and side-impact crash protection. In the Insurance Institute for Highway Safety’s testing, the Outback received the highest Top Safety Pick+ rating after earning a Good rating (the highest possible) in the moderate-overlap front-offset crash test, as well as the side-impact and roof strength tests. It also earned an Acceptable rating (second highest) in the new small-overlap frontal-offset crash test. 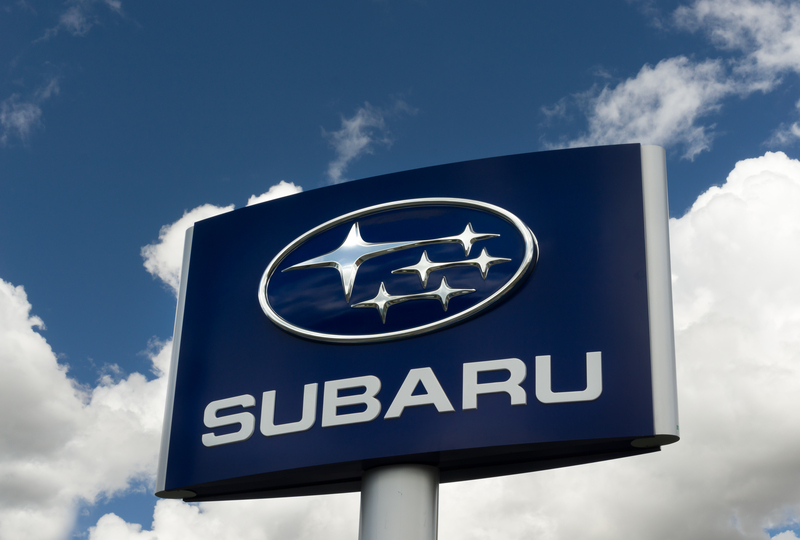 Come to #NewJerseyStateAutoAuction and Sales to check out and test drive one of our used Subarus. They’re perfect for the mid-Atlantic winters and will keep you from getting snowbound in the next storm. Our family owned dealership has been serving the Tri-State area for 20 years. Our sales, finance and service teams look forward to helping you find your perfect next vehicle and maintaining it in top condition. There are many factors to consider when purchasing a car, truck or SUV. Among the most important to consider are your budget, the size and type of vehicle that fits your needs, and various comfort and safety features. 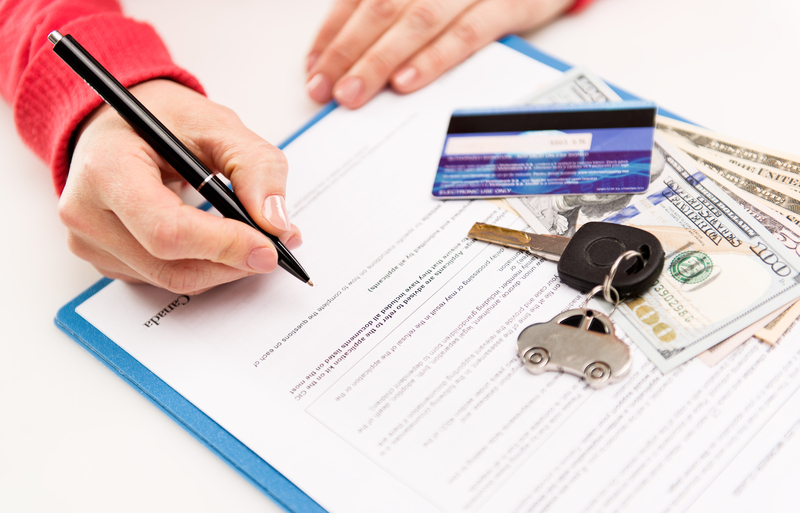 Since the average car loan for a new or used vehicle could require payments for five years, it’s important to make the right choice. It’s also important that any upcoming life changes be compatible with a vehicle you’ll likely have long after you’ve repaid the loan. The most important question to ask is this: is it in your budget? A used vehicle will likely fit more comfortably in your budget than an expensive new one. In addition to your initial investment of a down payment plus monthly payments, it’s important to consider the cost of regular maintenance. 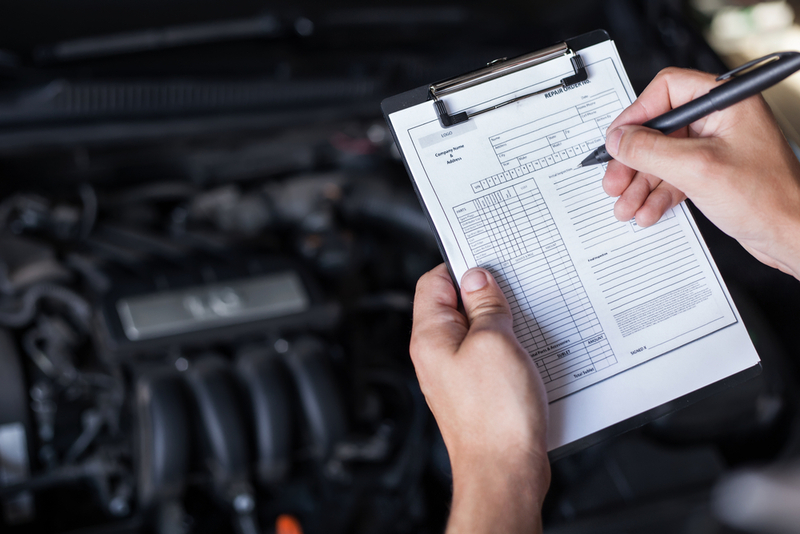 Ask our New Jersey State Auto Auction sales team or local parts store to help you do the research to determine the cost of regular maintenance for your new vehicle. Trucks with a diesel engine cost more to maintain than a standard passenger car, so it’s important to know the differences before committing to a five year loan. Does the vehicle fit your family? While a sleek body and extra horsepower can be appealing, if you have small children you know convenience is the most important factor in a family vehicle. A sedan, SUV or minivan are comfortable and convenient choices for a growing family. If you’re concerned about gas mileage, consider a small or crossover SUV. Want to Get the Best Trade-In Deal? 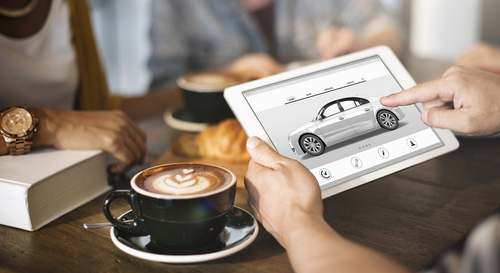 Check the trade-in value with a resource such as Kelley Blue Book. You can use KBB’s data base for a rough estimate of what a dealer might likely offer for a trade-in. Get your vehicle looking like new! The impression your vehicle makes on the dealer can pay big dividends. And it’s up to you! It’ll pay to spend some time scrubbing and polishing the exterior and vacuuming and dusting the interior. It could even be worth the money to hire a local professional detail company to really make it shine. It’s a good idea to let them know you’re taking the vehicle in for a trade since they work for many of the dealerships and will know exactly what dealers are looking for in a vehicle. Fix any mechanical problems your vehicle may have, or anything you’ve been putting off. Hire your mechanic to check out the car and prioritize any needed repairs. Knowing about these issues will also help you negotiate a good price for your vehicle. The dealer will appreciate knowing exactly what time of work is needed to get the vehicle into top shape for resale. 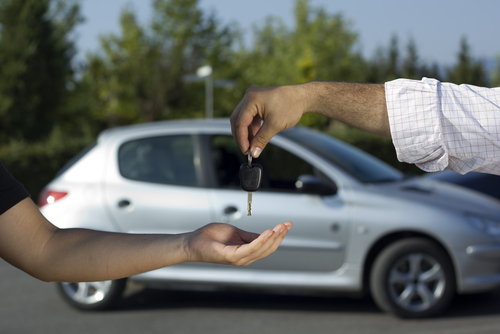 New Jersey State Auto Auction & Sales is here to help you get the best deal on a used vehicle. We make the trade-in process easy and our finance team can help you set up a plan that works for you. Our service team will help with your trade-in vehicle. #NewJerseyStateAutoAuction has been serving the Tri-State area from our Jersey City dealership for over 20 years. We look forward to helping you find your perfect vehicle. Posted in Auto Industry News | Comments Off on Want to Get the Best Trade-In Deal? For most, fall's arrival is exciting for quite a few reasons: cozy, sweater weather, delicious pumpkin-flavored treats and colorful, fallen leaves. But it also means Halloween is right around the corner. Oct. 31 can be a fun day for the whole family, whether you're heading out to trick-or-treat or venturing to your best friend's annual costume party. Regardless of your plans, you'll likely need a car to get there, and pranksters have tricks of their own prepared for your sweet ride. According to the Highway Loss Data Institute, vehicles are twice as likely to be vandalized on Halloween than any other day of the year. Keeping your car off the streets and tucked away is one of the easiest ways to avoid vandalism, according to State Farm. When you're at home, keep your vehicle parked in the garage. If you don't have one of your own, consider taking your ride to a public garage for the night. If you're visiting a friend or plan to be out and about on Halloween night, just make certain you're parking in a well-lit, populated lot. If you don't have your own garage, consider keeping your car in a public one for the night. 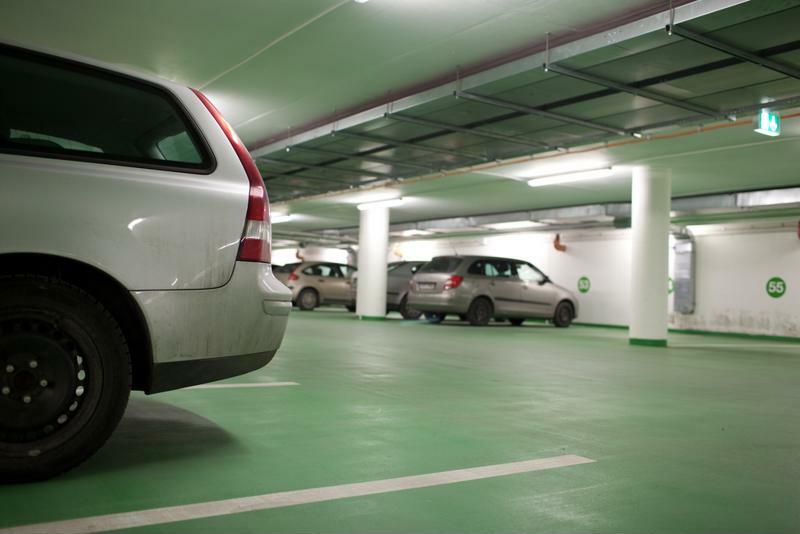 If you don't have a garage or you plan on parking your car in a public lot, be sure to remove all visible valuables from the inside. Items such as window-suction GPS systems, expensive stereo faceplates and cellphone chargers should be stored securely in the center console. The inside of your car shouldn't be your only concern – bumper stickers, license plate frames and windshield decorations could attract pranksters. Expressing your personality might push the wrong buttons and tempt someone to ruin your ride. By adding a motion-sensor alarm system to your vehicle, you can ensure the vandals won't get close enough to cause damage. Even adding a simple security system decal to your windshield will make them think twice about touching your car at all. "Make an appointment with a detailer for a wax job." Finding a safe spot for your vehicle and removing visible temptations may reduce your chance of getting vandalized, but it's not guaranteed. That's why Consumer Reports advises you to prepare in advance by applying a protective coat of wax. Make an appointment with a detailer for a wax job about one week before Halloween. Nobody wants to worry about walking back to their car to find it's been vandalized, but unfortunately, anything can happen. Instead of driving your vehicle back with solid eggshell residue that could end up damaging the paint, prepare a small spray bottle of water and car-washing soap in advance. That way, if you find your car has fallen victim to a prank, you can spray the solution and wipe away the mess before it causes any harm. Even if everything doesn't wipe right away, soaking it in the solution can prevent you from needing a new paint job. If your older vehicle was damaged by a prankster on Halloween night and it seems impossible to repair, don't worry. The maintenance technicians here at New Jersey Auto Auction can take care of it! Or, we can set you up with a high-quality, Carfax certified used vehicle. Stop in today! Hybrids actually have fewer problems than their counterparts, so buying one used is a great option. According to Renee Stephens, vice president of Automotive Quality Research at J.D. Power and Associates, “On average, a hybrid sees about 99 problems per 100 vehicles, compared to gas vehicles, which have a rating of 133 problems per 100 vehicles.” In addition, since a new car loses about 27% of its value the first year, the biggest depreciation happens after two or three years. Since hybrids are usually pricier than their counterparts, it’s not a bad idea to let someone else take the depreciation hit. So, which hybrids are the best? Toyota’s commitment to hybrids with 69% of the US market share, puts Toyota at the top of the list. The Toyota Prius 2010-2013 has been recognized as one of the most reliable hybrids. Its “Hybrid Synergy Drive” full hybrid powertrain, merges electric motor power with a 1.8-liter Atkinson-cycle engine and gets 50 mpg. The Prius also gets high marks for reliability from Consumer Reports. The 2014 and 2015 models are recommended, as well, if you don’t mind taking a little hit for depreciation. The 2012-2013 #HondaCivicHybrid is another highly recommended hybrid. Upgraded with a lithium-ion battery, the 44 mpg Civic Hybrid looks nearly identical to the regular Civic sedan except that it has some hybrid-specific design cues and badging. While its Integrated Motor Assist is not as advanced as the Toyota’s full hybrid architecture, it is an effective system that was introduced in the original 2000 Insight, released slightly before the Prius. This vehicle is a premium trim level with lots of bells and whistles. Again, 2014 and 2015 models are good, too, but have the issue with depreciation. Third on the list is the 2012-2013 Toyota Camry Hybrid. It’s notable that the 2015 model retained the 2012’s powertrain with its 40/41 mpg combined rating. The Camry’s reliability has made it a best-seller for the past several years. Its 200 horsepower, 0-60 in the mid 7s makes it quite a peppy car. As with the Honda and Prius, the 2014 and 2015 models are also highly recommended, save the depreciation. New Jersey State Auto Auction has a large inventory of used cars and trucks. Come visit our showroom in Jersey City and let our sales team help you find your perfect hybrid to test drive. Visit us at www.njstateautoauction.com. What’s GVWR And Why Is It Important To Your Pickup, SUV and Crossover? The term GVWR – or Gross Vehicle Weight Rating – might sound like something only professional truck drivers need to know, but it’s something every driver of a pickup truck, SUV or crossover needs to be aware of to stay safe while carrying cargo and/or passengers. Why do you need to know the GVWR? Knowing the GVWR will prevent you from overloading your vehicle which cause damage to your vehicle and create unsafe driving conditions such as, broken springs and suspension components, unsafe braking, overheating and damaging the transmission and other driveline components, difficulty controlling the vehicle due to strain on the suspension and danger of tire blowout due to an increase in tire temperature. How do you figure out how much weight the vehicle can carry? Follow this example:The weight of the #2016GMCSierra1500 is 5,216. By subtracting the weight of the truck from the GVWR you know you can carry 1,884 pounds without exceeding the GVWR. Make sure you take into account the weight of your passengers, as well as cargo. If you have two 150-pound passengers, your available hauling capacity is 11,584 pounds. It’s important to always stay within the GVWR limit set for your particular truck, SUV or crossover to avoid damage to your vehicle and to keep your passengers and your belongings safe. The New Jersey State Auto Auction’s team cares about your safety. We’re always happy to answer any questions you might have. Our family-owned business looks forward to helping you purchase your ultimate vehicle and drive it safely. Visit our website at www.njstateautoauction.com. Posted in Auto Industry News | Comments Off on What’s GVWR And Why Is It Important To Your Pickup, SUV and Crossover? Proper tongue weight can make the difference between a safe trailer-towing experience and a dangerous one. Like the Goldilocks and the Three Bears, the tongue weight must be ‘just right’ – too little and the trailer could start swaying from side to side; too much weight and the force could overload the rear tires of the tow vehicle and push the rear end of the vehicle out of control. Tongue weight also affects how safely you can go around corners and curves, as well as how quickly you can brake. How to figure out the tongue weight? Proper tongue weight is about 10 to 15% of the total loaded trailer weight. For example, if a 2,000-pound trailer is loaded with 1,000 pounds of cargo, the safe tongue weight of the loaded trailer should be between 300 and 450 pounds or 10-15% of the total of the two – or 3,000 pounds. Other important things to consider are the type of hitch and placement of the load. 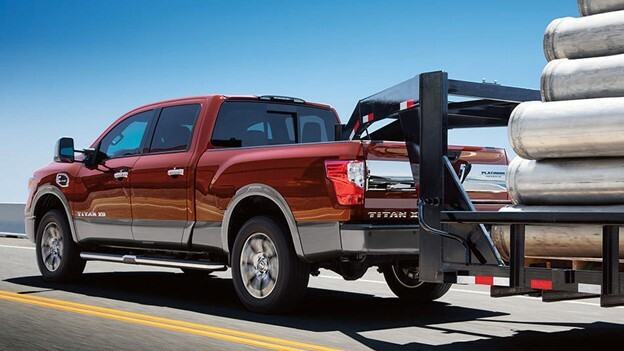 For example, #Sierra1500 models towing trailers with tongue weights over 700-800 pounds need to make sure they are using a weight-distributing hitch rather than a weight-carrying hitch. It’s important for the load to be properly placed to ensure safe towing, with about 60% of the load centered evenly over the front half of the trailer. For example, if the 2,000 pound trailer is carrying 1,000, about 600 pounds should be in the front half of the trailer. You can check that your trailer is properly balanced by visiting a public scale and weighing your vehicle and trailer a few times. And of course, our New Jersey Auto Auction’s Sales and Service team is happy to advise you on how to have a safe trailing experience. Our family-owned dealership has built a reputation of customer-service excellence. We want to make sure you have a safe drive! Visit our website at www.njstateauto.com. It’s totally normal to want something new after so many years of the same thing—and trading in your used car can be a hassle free way to take care of that! Luckily, you can count on our used car dealership serving the greater NYC area. Before you visit us, though, here’s some advice everyone should follow before they take this step to get the most out of their ride. Cars are like people: they get quirkier as they age. At this point, there are probably some traits about your vehicle that you don’t even notice anymore, but may be a detractor for someone assessing the car’s value. Things like a ripped headliner, a window that doesn’t go down, or a particularly creaky door may be worth paying to fix, as you may wind up getting that money back when find out the trade-in value in the greater NYC area. Then, there are tires. Tires can be costly to replace, so it may not seem worth it to do so right before you get rid of the car, but in some cases it’s not a bad idea. Extremely worn tires will certainly pull from the value of your car, so it’s probably best to replace them. 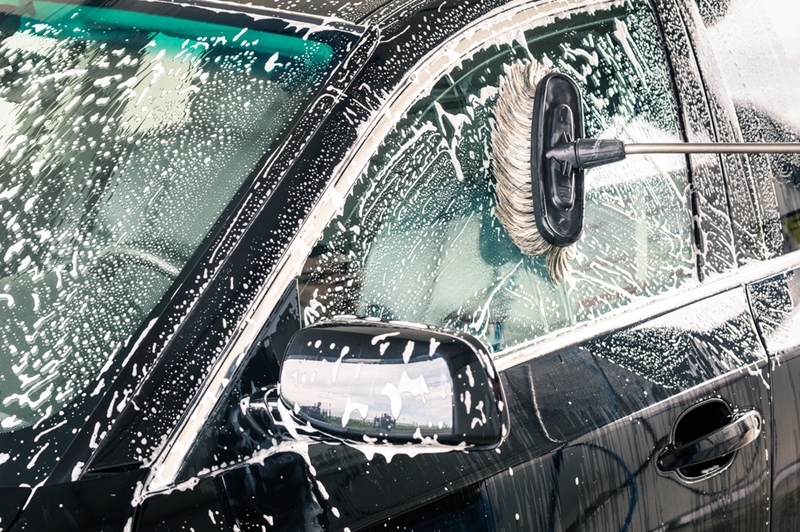 When’s the last time you gave your car a thorough cleaning? If you’re not sure when, it’s been too long! Vacuum the interior, wash and wax the exterior, clean the wheels until they’re gleaming, and even apply tire shine. Or save yourself some time and bring it to our auto repair center, as we offer car spa services at a variety of price points. Minor cosmetic issues and curb rash (the marks left on your car when you accidentally scrape your wheel against the curb) are inexpensive to repair, and will considerably boost the aesthetic of your vehicle. However, don’t go too crazy: dents that require buffing or painting may not be worth the cost to fix. These are little things that are easy to do but, if left unattended, may knock down your vehicle’s value. When you visit New Jersey State Auto Auction to look at your next new-to-you car, be sure to bring your current vehicle to trade. There’s nothing more satisfying than getting credit towards your next truck, car, van or SUV you fall in love with on our lot! One of the best-selling Cadillac models is the compact luxury Cadillac SRX crossover. No longer just a utility vehicle, the 2013 Cadillac SRX has plenty of room for four adults, ample storage capability, a new CUE infotainment system with a crisp clear LCD screen offering intuitive controls over audio, phone and climate control functions. The interior is a sophisticated blend of technology plus luxury. The 2013 Cadillac SRX provides a responsive driving experience with crisp handling and cornering, and is capable of some serious back-road capability. Safety is an important feature in the SRX and the Driver Assist and Driver Awareness packages include automatic-braking technologies that help reduce the chance of low-speed impacts. The unique vibrating Safety Alert Seat warns that the car’s sensors have detected an impending dangerous situation. The SRX comes in four trim levels, including Base, Luxury, Performance and Premium. All levels feature a 3.6-liter V6 engine that delivers 308 horsepower and 265 pound-feet of torque with a six-speed automatic transmission. Front-wheel drive is standard, but all-wheel drive is available for any SRX trim. Acceleration is average for compact luxury crossovers going from zero to 60 mph in 7.1 seconds. The base model comes standard with 18-inch alloy wheels, roof rails, automatic headlights, keyless entry and remote engine start an eight-way power driver seat, a reclining and 60/40 split-folding rear seat, cruise control and a tilt-and-telescoping steering wheel. The SRX Luxury adds front and rear parking sensors, blind-spot and cross-traffic alert, a rearview camera, rain-sensing wipers, a panoramic sunroof, keyless ignition/entry and a power liftgate with adjustable opening height. Luxurious leather upholstery, heated front seats and steering wheel, adjustable thigh support for the driver seat and an eight-way power passenger seat add to driver and passenger comfort. Can’t Afford to Buy New? Consider a Certified Pre-Owned Vehicle. NJ State Auto Auction and Sales’ wide selection of used vehicles includes some choice Certified Pre-Owned vehicles. For a lot less money, you can buy a car that feels almost new, even if it has some miles on the odometer. Buying a CPO vehicle also takes some of the uncertainty out of buying a used car because it guarantees that the mechanical condition of the vehicle is up to the manufacturer’s high standards. CPO vehicles are inspected by factory-trained mechanics to ensure it meets specific standards. The dealership replaces or repairs anything that is worn beyond the limits of the manufacturer’s program. For example, Volkswagen’s CPO program specifies that a vehicle must be no more than five model years old with fewer than 75,000 miles. In addition, it must have been operated by the previous owner for at least 12 months. A factory-trained Volkswagen mechanic performs a 112-point inspection, repairs any problems, bringing the vehicle as close to new condition as possible. The vehicle then comes with a limited two-year/24,000 mile warranty that covers the powertrain, air conditioning and electrical system, among other things. VW also provides two years of 24-hour roadside assistance. Other manufacturers have similar programs and comparable warranties. Visit your favorite automaker’s website to see the specific CPO details. One caution – the term “certified” can mean different things at different dealerships. 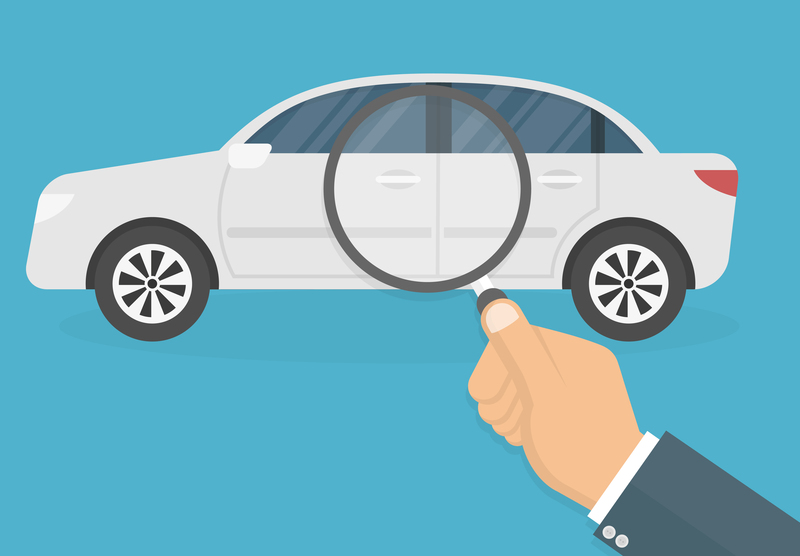 Make sure to know if the manufacturer is certifying the car of just the dealership and find out what is covered in the certification and warranty. CPO programs are perfect for anyone who wants to save money over the price of a new car, but who also wants to drive a near-new car that comes with a solid warranty. While a little more pricey than non-certified used cars, they can be a good investment. The experienced and knowledgeable team at New Jersey State Auto Auction and Sales can help you find your perfect CPO vehicle. 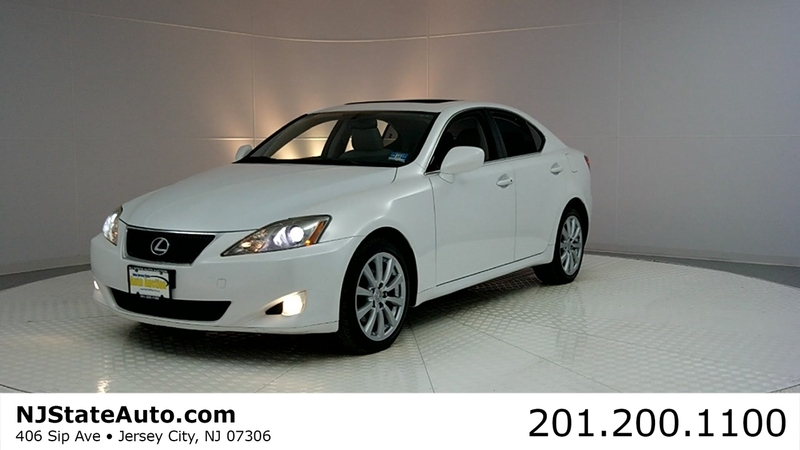 We have a huge inventory at our Jersey City showroom and invite you to come in for a test drive. Our expert finance team will work with you so you can drive off the lot in your dream car. And our dependable service team can keep it running in top-notch condition. Posted in Auto Industry News | Comments Off on Can’t Afford to Buy New? 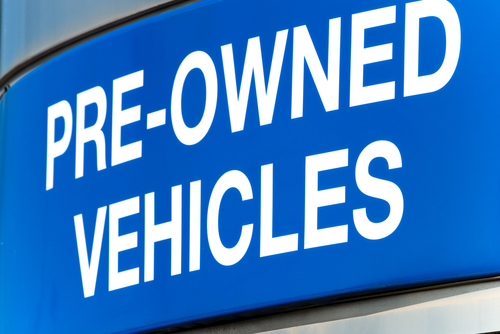 Consider a Certified Pre-Owned Vehicle. Looking for a more upscale family sedan? Bring the family over to New Jersey State Auto Auction in Jersey City to test drive the 2014 Malibu mid-size sedan. The kids will find lots of leg-room in the rear seats and you’ll appreciate the large center console with plenty of room for storing things. If you’ve got tall drivers in your family, you’ll find the power driver seat can adjust to fit your larger frame. Smartphone use is easy with the touch screen interface that allows for voice control, stream music and is compatible with internet radio. With the quiet cabin and smooth, bump-free ride, it’s sure to please everyone! 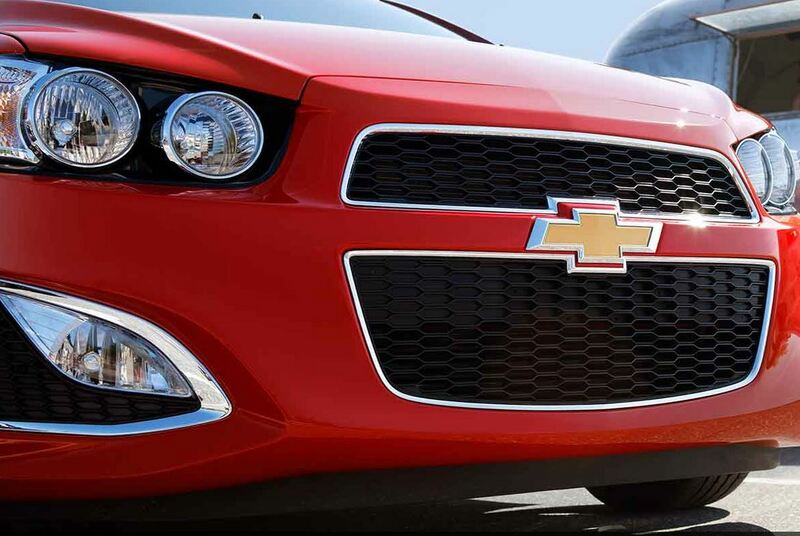 The Malibu also looks great with its sleek front-end styling. And it performs well! Its 2.5-liter 4-cylinder engine has a combined fuel economy rating similar to the Eco model, with a combined fuel economy rating of 25 mpg city/36 mpg highway. The engine is powerful enough to keep up with the flow of traffic, both around town and on the highway. The stop-start system is hardly noticeable while you drive, though you’ll see its advantages when you fill-up at the pump. The good handling and responsive steering makes this an easy car to drive. Safety features include antilock brakes, stability and traction control and lots of airbags: front knee, front side, rear side and side curtain in the event of a crash. The OnStar telematics system provides lots of useful features. The optional rearview camera helps with visibility and you can also get advanced warning and alert systems for forward collision, lane departure, monitoring blind spots as well as rear cross-traffic. The Malibu got five stars out of five for overall crash protection as well as the Insurance Institute for Highway Safety’s highest rating. The above average-sized 16.3-cubic-foot trunk accommodates travel gear and shopping purchases. Come give this car a spin at New Jersey State Auto Auction. If it turns out not to be the car for you, our sales team is sure to find just the perfect car to suit your family’s needs.